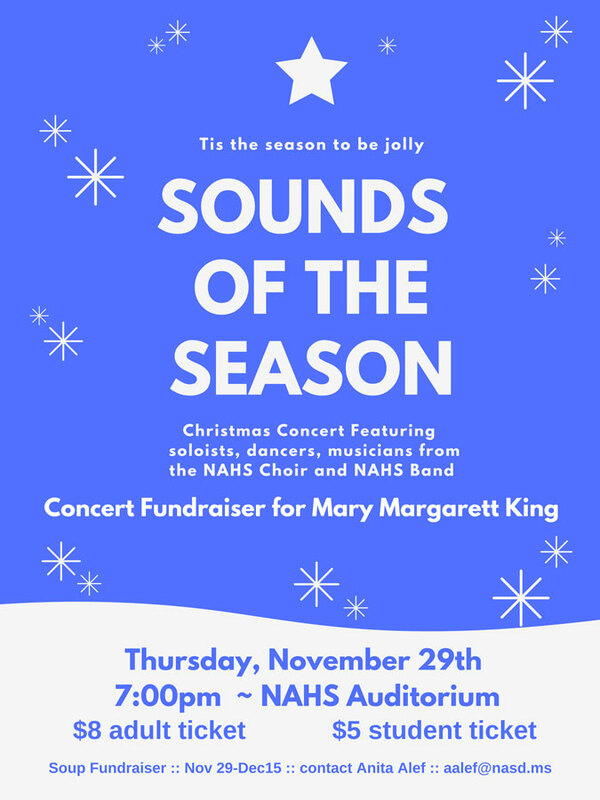 New Albany High School students and staff are presenting a Christmas Concert fundraiser on behalf of Mary Margarett King. King is a graduate of New Albany High School and has taught there for over ten years. Mrs. KIng was selected as Mississippi Teacher of the Year a few years ago. She helps with Student Government, Homecoming, and the Vision Mentoring Program. Proceeds of the fundraiser will help Ms. King with medical expenses. Note also that there is also an on-going Soup Fundraiser.